Very few aspects of modern life aren’t touched in some way by natural gas and oil. Thousands of products made from natural gas and oil make life healthier, safer, more comfortable and more enjoyable. Communication, transportation, food, education, entertainment and more – natural gas and oil make our modern lives possible. Thanks to natural gas, U.S. carbon dioxide emissions are dropping and the air up here is cleaner than it’s been in 25 years. 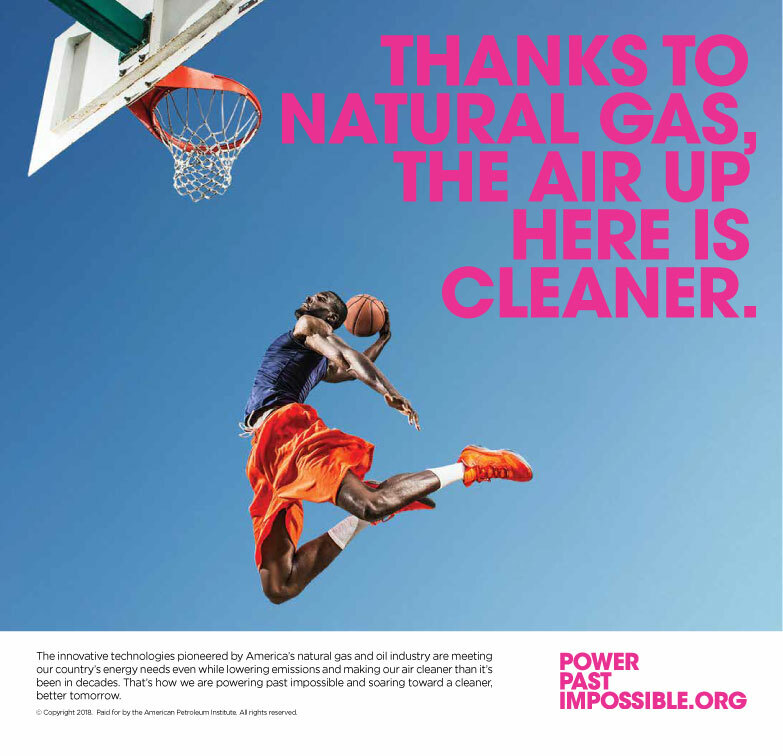 America's air is cleaner thanks to increased used of clean natural gas. The innovative technologies pioneered by America's natural gas and oil industry are meeting our country's energy needs even while lowering emissions and making air cleaner than it's been in decades. Pro-growth tax reform benefits all Americans. Support a pro-growth tax system that levels the playing field for companies, both at home and abroad, to bring investments and economic growth to the U.S. Affordable, reliable electricity is vital to Ohio’s future. As an industry, we are working to inspire the next generation of leaders and professionals, paying particular attention to young women and minority students who are currently underrepresented in STEM subjects. America’s energy infrastructure is the backbone of communities across the nation.